Lately I've been working more on some tools. I made some more carving knives, and some handles that I have not put blades in yet. 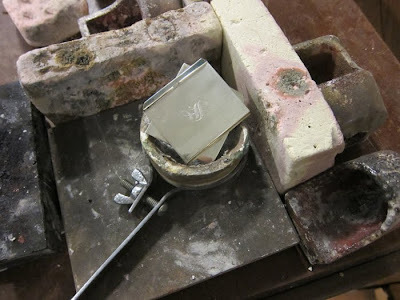 Here is a random process photo, below. I don't know much about wood working so I just put the wood on the lathe and treat it like metal. It's working ok so far. 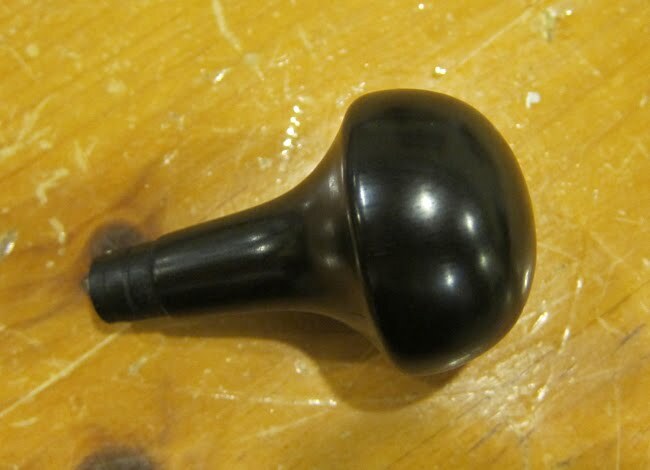 The handle below is ebony and ivory. I still need to properly photograph most of these handles. After I get all my handles and blades made then I will decide which blades to put in which handles. I also ordered some more wood and started on some saw handles. 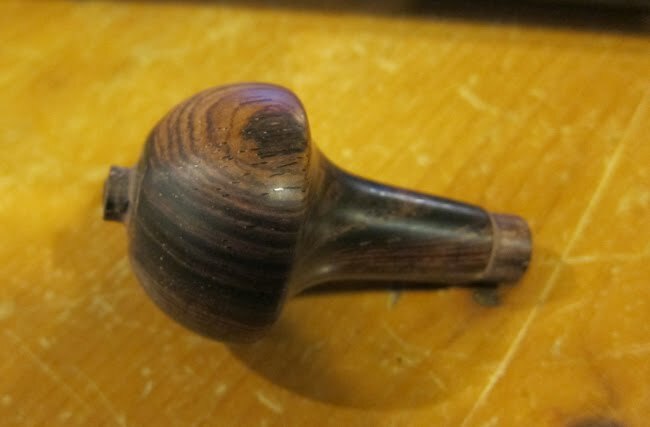 The top one is leopard wood, the bottom one is ebony. 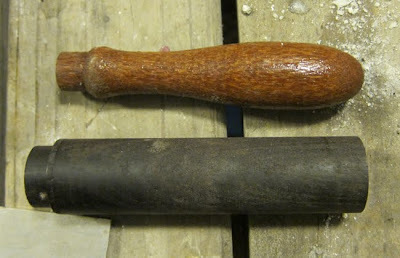 I made two graver handles so far. They are finished except for the ferrule, which I will make out of silver. It's still unfinished in this pic. 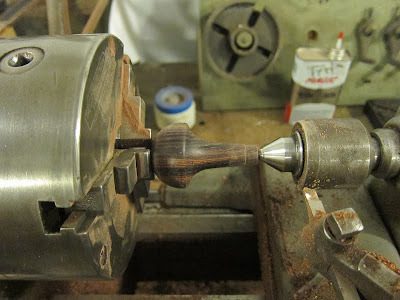 The little thing sticking out on the left side is just something I left on it to help hold it in the lathe. 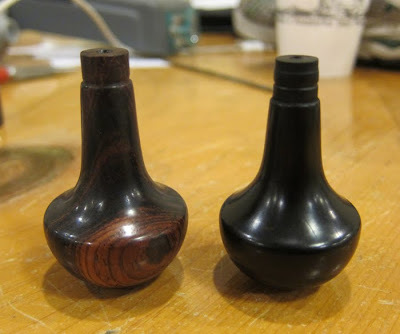 Cocobolo on the left, ebony on the right. 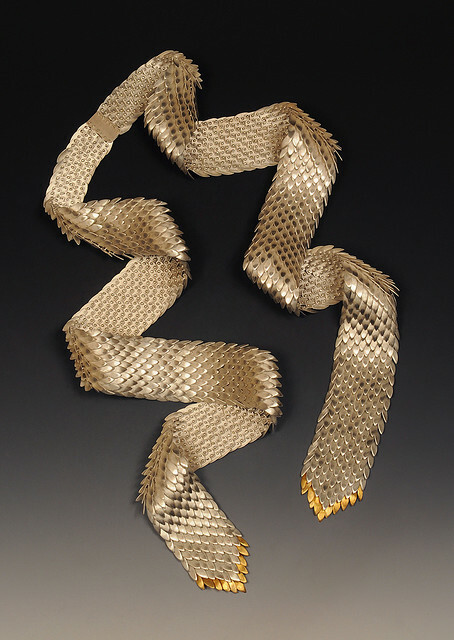 I got a commission recently to make a belt like the scale neckpiece I finished in 2009. It's going to be much thinner and shorter than the neckpiece so it won't take nearly as long. To keep the cost down she gave me some silver things to melt down to use for the belt. She gave me these two sterling goblets, but I think rather than meting them down, I will keep at least the big one and use some of my own silver instead. She also gave me six of these hand engraved napkin holders. I'm happy to get the work, but not all that happy about doing more scales.